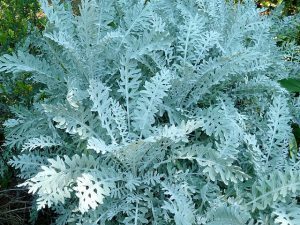 Technically Dusty Miller is a perennial, because it will grow for more than one year in some cases. However, it is more correctly considered an annual plant. Dusty Miller is a beautiful, small complementary plant which will grow about 7-8 inches tall and 7 inches wide. The Silver Lace variety exhibits silver gray foliage which strikingly resembles a lace pattern. 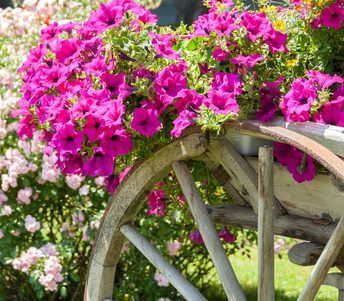 Its small size lends perfectly to planting along borders, sidewalks, or from containers. It looks great in a garden bed fronting taller, showier, more colorful plants. The silver leaves serve to give off a terrific contrast to the variety of colors it is usually paired with. Two of the more common pairings for Dusty Miller are Purple Verbena and Dragon Wing Begonias. 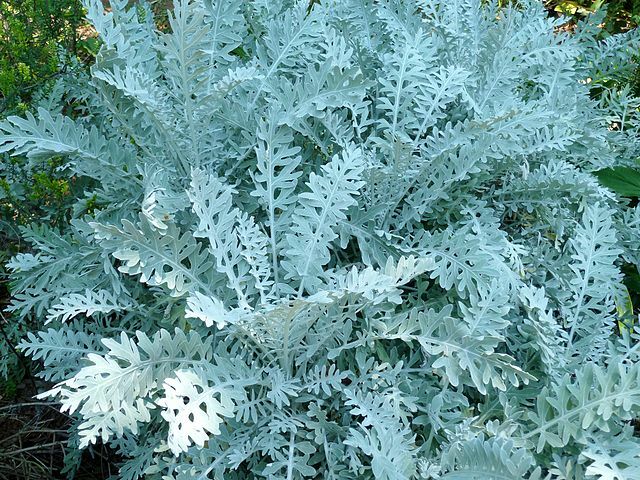 While Dusty Miller does not produce significant flowers, the silver gray contrast to its surroundings is all this plant should need to provide. Vibrant colors are not necessary when it is used to complement other plants that will supply the color. It needs light shade to full sun, and will not do well in colder climates. It needs to be planted in fertile, well-drained soil that is enriched with organic matter such as compost and mulch. Care should be taken to prevent planting until after the final cool season frost. Dusty Miller plants are often sown from seeds, either started inside 4-6 weeks before the anticipated final frost, or directly into the ground after the threat of frost has passed. Seeds sown directly into the ground should produce seedlings within a few weeks.